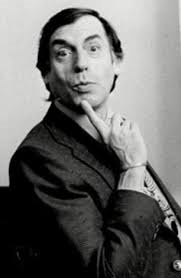 the geordie times online (newcastle united archive fanzine): EVEN LARRY GRAYSON 'SHUTS THE DOOR' ON THE mACKEMS! EVEN LARRY GRAYSON 'SHUTS THE DOOR' ON THE mACKEMS! Aberdeeen manager Derek McInnes haz torned doon the SMB job despite the mackems offerin' him THREE TIMES the wages he iz gettin' at Aberdeeen. And this iz a man who woz sacked by Bristol City after 7 successive deats in the 2012-2013 season, which left the club 8 points adrift at the bottom of The Championship---and they were subsequently relegated at the end of that season! Even Preston Dead End manager Larry Grayson torned them doon, sayin' he woz happy to stay put!!! "ER!" --it haz since been pointed oot to us that the Preston manager iz caalled SIMON Grayson---NOT! LARRY, who died 22 years ago!